Not Defense Secretary Ashton Carter—while he may be more than a figurehead, “the building” has no boss. The crippling and pervasive defects in us national-security policy—costly exertions that, time and again, fail to yield the promised results—are patently obvious, consistently bemoaned, and yet effectively tolerated. To say that the apparatus principally responsible for implementing those policies is an underperforming behemoth qualifies as a considerable understatement. The kindest verdict one can offer regarding the Pentagon is that it marginally outperforms its first cousin, the Department of Veterans Affairs. The next president will enter office in January 2017 vowing to correct those defects. The likelihood that he or she will succeed in doing so is nil. The reasons why are legion, but prominent among them is the fact that those who ascend to the top of the national-security apparatus invariably arrive in the Pentagon as unwitting agents of the status quo. By the time they land one of the top jobs, they have long since forfeited any capacity for critical thought. To illustrate the point, consider the case of Ashton Carter, now a year in office as secretary of defense. The 25th person to hold that position since its inception just 69 years ago, Carter is seasoned, able, and undoubtedly well-intentioned. Yet he is as much a creature of the Pentagon as he is its CEO. He embodies the culture of national security, having absorbed its assumptions, worldview, habits, and language. According to his official biography, “Secretary Carter has spent more than three decades leveraging his knowledge of science and technology, global strategy and policy as well as his deep dedication to the men and women of the Department of Defense to make our nation and the world a safer place.” Along the way, he acquired a bushel of impressive credentials. After graduating from Yale, Carter won a Rhodes scholarship and eventually returned from Oxford with a PhD in theoretical physics. His current Pentagon tour of duty is his fourth, and follows earlier stints as deputy secretary; undersecretary for acquisition, technology, and logistics; and assistant secretary for international-security policy. As they say in Washington, Carter “knows the building.” When not in government service, “Ash” contemplates ways of making the world a safer place at prestigious universities like Harvard and Stanford, while sitting on boards and commissions that provide venues for out-of-office members of the national-security elite to audition while talking shop. Depending on your point of view, Carter arrived in his present post either exceedingly well-prepared or thoroughly vetted. Since taking office, Carter has spent his time doing what defense secretaries do. He flies around the world visiting the troops and consulting with field commanders. He presides at ceremonies, hosts visiting dignitaries, testifies before Congress, makes speeches, holds press conferences, and appears on TV. He manages—or pretends to manage—a sprawling bureaucracy. He makes decisions, sometimes dressed up for the occasion as “historic,” but typically representing an incremental departure from past practice—lifting the ban on women serving in combat, for example. And by no means least of all, he facilitates the expenditure of money in staggeringly large quantities. Averting change while pretending to foster it represents the defense secretary’s foremost function. What Carter has not done is pose first-order questions related to national-security policy and practice. Instead, he has deferred to and thereby protected existing routines and arrangements. This shouldn’t come as a surprise. Averting change while pretending to foster it represents the defense secretary’s foremost, even if unacknowledged, function. In the history of that office, only two of Carter’s predecessors have had the temerity to challenge that proposition. The first was Robert McNamara in the period from 1961 to ’68; the second was Donald Rumsfeld from 2001 to ’06. McNamara showed up for work intent on imposing a management system imported from the postwar corporate world. He aimed to align the Pentagon with fads and fashions straight out of Harvard Business School, as implemented in the Detroit auto industry. Precisely 40 years later, Rumsfeld sought to impose an entirely new approach to waging war. With information technology all the rage among the military intelligentsia, Rumsfeld believed that fads and fashions pioneered by Silicon Valley could enable the US military to revolutionize the way it fights. Each project deservedly and ignominiously failed. Yet in both cases, the implications of failure went well beyond the rejection of a particular reform agenda. McNamara and Rumsfeld, each in his own way, had attempted a radical assertion of civilian control. Each in turn had insisted that someone should be in charge, not merely symbolically but substantively. Each had insisted that there be but a single hand on the Pentagon tiller: his own. Eventually, arrogance did them in, compounded by the ill-advised and mismanaged wars that destroyed their reputations. One further consequence of their respective failures was to gut the concept of civilian control. Although the principle remained, the practice became squishy. The result was by no means a handing of authority to the brass. Neither McNamara’s downfall nor Rumsfeld’s several decades later meant that the generals now called the shots. Instead, the effect of their demise was to disperse authority, leaving no one really in charge and therefore no one accountable. Today, for public consumption, all hands sustain the pretense of loyally pulling together in response to the Pentagon coxswain’s calls. In reality, however, relentless intramural competition drives behavior. Inside the building, what passes for the formulation of strategy amounts to little more than apportioning budget share. Reconciling the contradictory demands made by rival services, commands, and programs supplants the national interest as the summum bonum. As a consequence, in place of a coherent approach to the world, aimless forward momentum prevails. This defines our present situation, with Ash Carter nominally at the Pentagon’s helm. The military-industrial complex looks to Carter to preserve the status and prerogatives its members have long enjoyed. It’s part of Carter’s job to prevent anyone from noticing. He does this by uttering with apparent sincerity reassuringly familiar platitudes, such as those he recited upon assuming office and has repeated since on several occasions. Yet platitudes amount to little more than a smoke screen. Behind that smoke screen, sound decisions competently implemented by a lean-and-mean organization that looks after the troops are the exception rather than the rule. The defense secretary may be more than a figurehead, but he is not the boss. There is no boss. To appreciate the implications, consider the conflict formerly known as the Global War on Terrorism. Today, nearly 15 years after it began, it continues with no end in sight. The inability of “the greatest fighting force the world has ever known” to bring that enterprise to a successful close would seem to require an explanation. Secretary Carter offers none. Nor does he even hazard a guess as to when, how, or at what cost the final victory will be gained. Instead, he gives such questions the widest possible berth. Indeed, he ignores them. To be fair, on what has become the most pressing front of that larger struggle, the fight against the Islamic State, Carter has not been silent. Obama’s defense chief forthrightly defends an approach to dealing with ISIS that few outside the administration itself find defensible. Echoing the president, Secretary Carter vows to destroy the Islamic State. Yet the Pentagon’s evolving campaign, which he routinely endorses, combines the worst features of mission creep with gradual escalation. Operation Inherent Resolve, as it’s called, has been small ball all the way. That Carter spends so much of his own time managing the campaign to defeat ISIS suggests a warped understanding of what a defense secretary exists to do. Yes, as an operational problem, ISIS poses real challenges. But those challenges are not overwhelming; we’re not talking about storming Festung Europa here. Given adequate resources, a reasonably competent staff-college graduate should be able to figure out how to prevail over an adversary that lacks an air force, possesses few modern weapons, and by relying on nihilistic violence alienates the population it presumes to govern. Far more imposing than the operational challenge is the strategic one: addressing the conditions that give rise to entities like ISIS in the first place. Panicky Americans or demagogic presidential candidates may fancy that taking down this one organization is the key to restoring order in the Greater Middle East. Yet to nurse that fantasy is to ignore the lessons of the past 15 years, if not of the past century. Destroying ISIS is a worthy goal, but unless the underlying conditions are also addressed, doing so will merely pave the way for some successor group, likely to be just as vile. 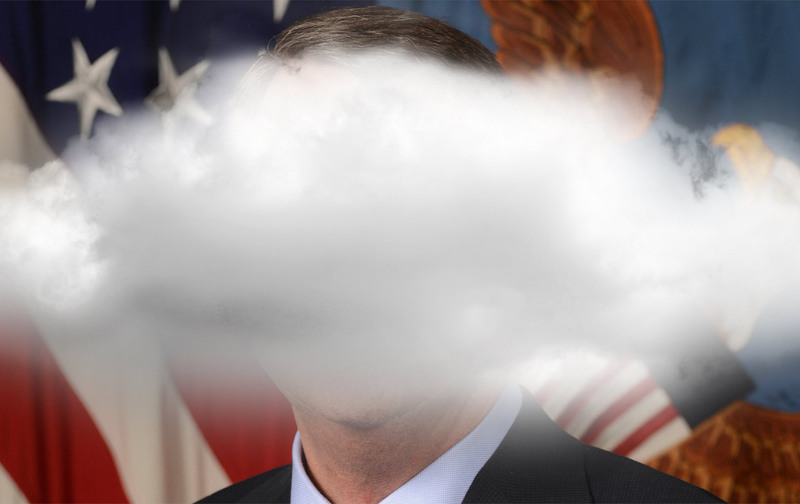 How to pre-empt the appearance of that successor—now that’s a conundrum worthy of a defense secretary’s attention. Yet addressing that conundrum requires this admission: The problem that our ongoing war purports to be solving has no military solution; indeed, pressing for one only makes matters worse. Once heretical, these propositions today find increasing favor, even in some military quarters, and should provide the basis for a far-reaching policy reassessment. The facts speak for themselves: The militarized approach conceived as a response to 9/11, back when illusions of US military supremacy ran rampant, has manifestly flopped. Yet even today, neither Secretary Carter nor any of his chief subordinates seem prepared to own up to this reality. In all likelihood, years of intense conditioning render them incapable of doing so. That certainly appears to be the case with the current Pentagon chief. Hence, when faced with a military enterprise gone awry, his preference is for tinkering rather than for thinking anew. So, in Iraq, Carter expands target lists, widens the mandate of US special operators, and boosts the cadre of American trainers, vaguely hoping that some combination of intensified activity might turn things around—even as he allows issues of far greater import to languish unattended. In effect, the technocrat becomes little more than a military meddler. What should command the defense secretary’s attention? Recasting US military strategy in the Islamic world ought to head the list. This means correctly identifying the adversary—which is neither terrorism nor Islam—and then realistically appraising its capacity to inflict harm, which falls well short of existential. It also means thinking creatively about ways to offset the adversary’s strengths and exploit its vulnerabilities. Secretary Carter’s silence on such matters suggests that he finds them either uninteresting or unimportant—or that he has nothing to say. Truth be told, even entertaining the possibility of alternative strategies spooks the constituencies that Carter represents as defense secretary. Here we arrive at the heart of the matter: Re-examining the premises of US policy in the Greater Middle East will necessarily jeopardize suppositions—about the efficacy of the US military presence and projecting US military might—that have enabled the national-security establishment to prosper for decades. The bureaucratic and corporate components of that establishment will view with alarm any hint of diminishing the emphasis that the United States assigns to possessing and wielding so-called hard power. The military-industrial complex looks to Carter to preserve the status and prerogatives its members have long enjoyed. Based on his performance thus far, their confidence is entirely justified. By way of example, consider the case of the recently unveiled Long Range Strike-Bomber (LRS-B), far and away the most important Pentagon initiative begun on Carter’s watch. Nothing about the LRS-B program is minor league, especially in terms of the fiscal requirements it entails. While words and catchphrases may carry promises of sound decisions, good stewardship, and forward-looking change, it’s where the money goes that matters. In October, without anyone paying much attention, Secretary Carter rubber-stamped Air Force plans to field this new manned bomber. In the guise of “embracing the future,” he thereby acceded to one service’s preference for perpetuating its past. According to Pentagon estimates, the cost of the LRS-B when it becomes operational at some unspecified future date will be approximately $500 million per aircraft. Since such estimates are rarely if ever even remotely accurate, we should treat this one with a grain of salt. By way of comparison, the B-2, the current front-line strategic bomber, cost $1.2 billion each when built nearly three decades ago. Although it’s theoretically possible that new and better will also be cheaper, nothing in the history of American weapons design supports such expectations. Indeed, to extrapolate from other recent programs like the F-35 fighter, which has seen costs balloon during its 15 years of gestation, we can reasonably expect the LRS-B to carry a price tag of $2 billion to $3 billion per bomber. So the handsome down payment promised to Northrop Grumman is just for starters. By acceding to the Air Force’s insistence that it needs the LRS-B, Carter has launched a project certain to consume at least a couple of hundred billion dollars. It goes without saying that this promises to be a bonanza of sorts for military contractors, shareholders, employees, and lucky members of Congress in districts where the work will get done. For the Air Force, the rewards qualify as even more fundamental: The new bomber will affirm a cherished identity. Thanks to the LRS-B, the Air Force will remain in this century what it was during the last: an institution defined by its employment of piloted aircraft to deliver death and destruction over great distances, just as Billy Mitchell, Hap Arnold, and Curtis LeMay intended. Those positing that drones may well render the LRS-B obsolete before it ever drops its first bomb are therefore missing the point. So are those who suggest that in a cyber age, the disabling of targets may no longer require their physical obliteration. Ditto those wondering why the United States needs yet another expensive means of delivering nuclear weapons (as the LRS-B will be designed to do), given the existence of land- and sea-based missiles already providing a secure deterrent. Will this new strategic bomber “make our nation and the world a safer place”? Only time will tell, but don’t bet on it. In the interim, however, the LRS-B program offers myriad benefits. Measured in profits and jobs and expectations of campaign contributions, those benefits are specific and concrete. In this regard, the LRS-B already rates as a huge success. Where it matters most, Carter has delivered. His LRS-B decision signals his allegiance to the long-standing arrangements that the various components of the military-industrial complex are keen to perpetuate. Here is an implicit assurance that the Navy can count on getting that new aircraft carrier and the Army a new generation of armored vehicles or helicopters. Through such purchases, “the greatest fighting force the world has ever known” will remain, at least in its own estimation, great—never mind its inability to end wars on terms favorable to the United States. Meanwhile, however, America’s larger military project in the Greater Middle East meanders along inconclusively, an undertaking that may one day see the LRS-B releasing a few parcels of high-tech ordnance to kill a few “terrorists.” By then, probably decades from now, it will be left to some other secretary of defense to describe the results as evidence of progress.